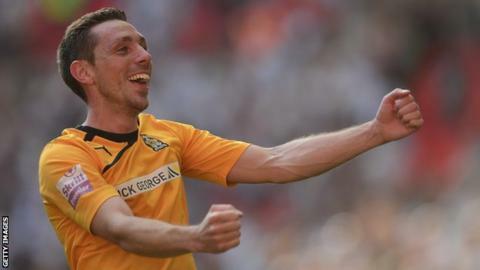 Cambridge United midfielder Tom Champion will be out for up to eight weeks with a broken cheekbone. The 28-year-old suffered the injury after only 10 minutes of Tuesday's 2-0 loss to Crawley in the Johnstone's Paint Trophy. "He's going to have an operation on Friday," boss Richard Money told BBC Radio Cambridgeshire. "It will mean having one or two plates [in the cheek] and he will be out for six to eight weeks." He added: "It's a real disappointment. We don't have anybody in our squad, and I don't think I can replace him with anybody from another squad who does that role for us." Champion had started every game this term and made 49 appearances in last season's promotion-winning campaign. Money will have to wait until the loan window reopens on Monday should he want to bring in a replacement for the former Dartford man.